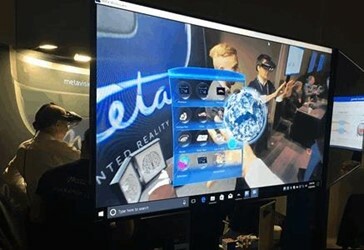 SAN FRANCISCO — It’s safe to say that, whatever the expectations happened to be for Monday’s altered reality/virtual reality headset demos at SPIE Photonics West, reality surpassed them. 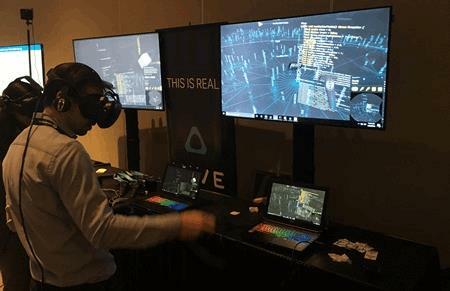 As the VR, AR, MR One-Day Industry Conference packed rooms 21 and 22 next door (more on that in Photonics Online's post-show report on Feb. 12, 2018), the headset vendors and software creators crammed into room 20 rushed to answer questions, show off their wares and programming, and hand out information to eager attendees. Reservations for each company’s demo were full a week ahead of time, and late-arriving hopefuls were relegated to a “maybe I’ll get in, maybe I won’t” line that snaked out the door. Both the venue and SPIE had to bring in extra people to handle the crowd. “We weren’t sure how willing people would be to stand in line and wait; turns out, some people are willing to wait all day,” said Gwen Weerts, SPIE’s managing editor, journals, one of those recruited to manage access to the first-time event as the crowd seeking admittance swelled. Software content provider Primitive was among the vendors allowing attendees to sample its wares. Using Primitive partner HTC’s VIVE VR system, attendees were able to navigate a tool designed to aid in software development. Photonics West attendees navigate Primitive's software development tool using HTC's Vive VR system. 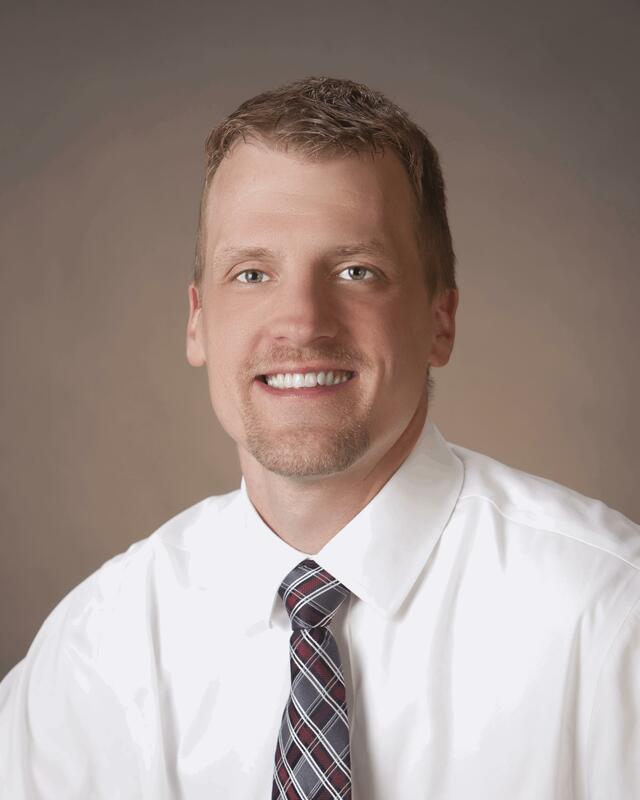 He said the technology helps to crystallize difficult concepts, particularly for software developers. Primitive aims to create a technology that leaves its users untethered, both from their physical desks and from wires. On the hardware end of things was DigiLens, whose motorcycle helmet-embedded heads-up display (MotoHUD) provided a familiar sight in a room full of the extraordinary. The helmet housing MotoHUD also integrated speakers and a microphone, all controlled by a voice-activated app. DigiLens provided the system’s pico projector and the waveguide, as well as created the app. 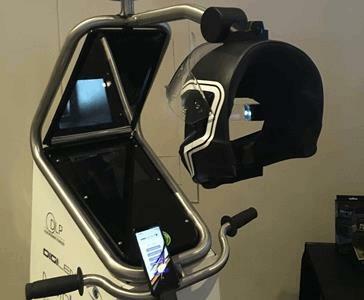 DigiLens embedded its MotoHUD heads-up display system into an actual motorcycle helmet to immerse demo guests more deeply in its use experience. DigiLens recently signed an agreement with Taiwan-based Yung Optics, whom they hope can provide volume manufacturing for the company’s brand-agnostic technology. “It can be applied to so many different use cases; it’s really up to the developer to decide how they want to integrate our technology,” Nguyen said. 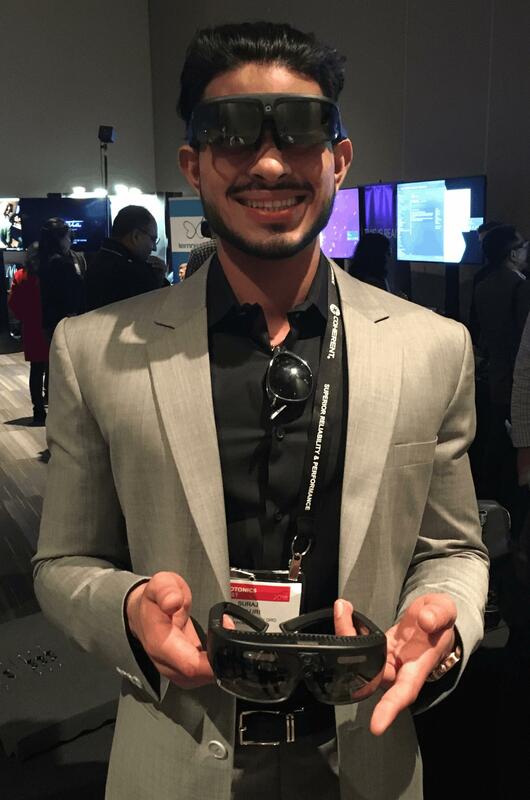 Suraj Talluri, marketing coordinator for Osterhaut Design Group (ODG), was showing the company’s R9 AR Smartglasses, ODG’s flagship prosumer developer headset. ODG touts the device as having the largest display on the market: dual 1080p resolution, along with a 50-degree-plus field of view. ODG's Suraj Talluri models the company's R8 AR Smartglasses while holding the technology's next generation, the R9 AR Smartglasses. He added that it’s important to strike a balance between that immersion and being able to orient oneself in real space, avoiding the motion sickness sometimes associated with AR/VR. Google, too, showed a few demos at the event, using its Daydream VR headset, which works alongside any Daydream-ready phone. Attendees were able to play either Gunship Battle 2 or Poly Runner to experience the platform’s capabilities. Google employees on-site were tight-lipped about the company’s VR/AR plans moving forward, though the company has standalone Daydream VR headsets in its product pipeline. Additional demo participants included Microsoft, uSens, Oculus, Vuzix, and Metavision. While most vendors said they’d need some time to digest and apply attendee feedback from the event, Talluri summed up the most common response to the headset demos. “Everyone wants them to be smaller, right?” he said.